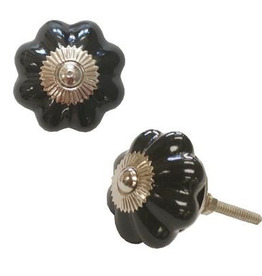 An elegant white knob with an embossed floral design giving it a vintage feel. 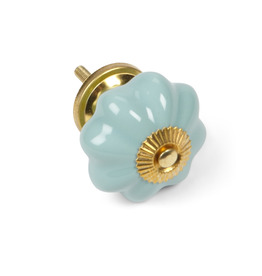 This knob will make your dresser or cabinet pop! 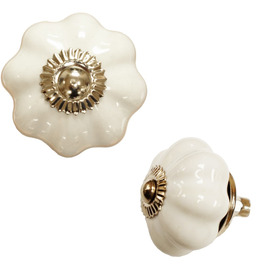 A pumpkin shaped white knob, designed to look vintage with silver detailing. This will make a piece of furniture pop!